These Vintage Box Lockers are available on www.buyusedlockers.com where they have a huge selection to choose from if we need additional supplies. These 5-Tier Lockers have a vintage look and feel to them but they are not that old and function perfectly. 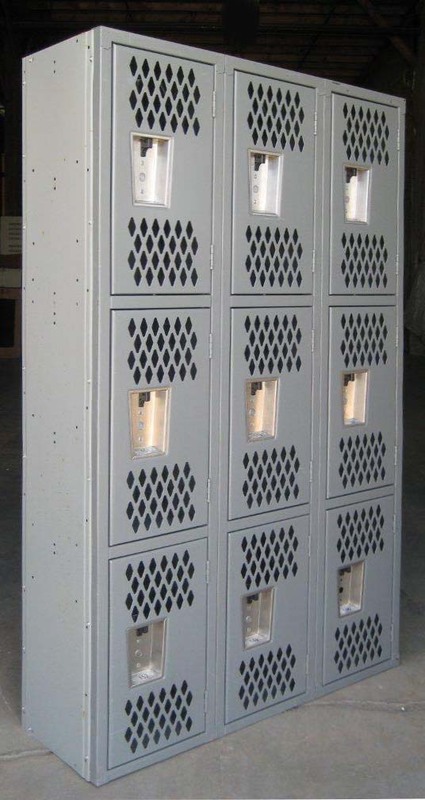 These lockers include a built-in combination lock (model 1690) already so they are a real bargain. Each compartment is 12" wide x 12" deep x 12" high and just the perfect size for a few small personal items. Use these at work, school or home to keep anything important or of value safe and organized.